Sparkle Bakes creates cakes for all events; Weddings, Birthdays, Baby Showers etc. 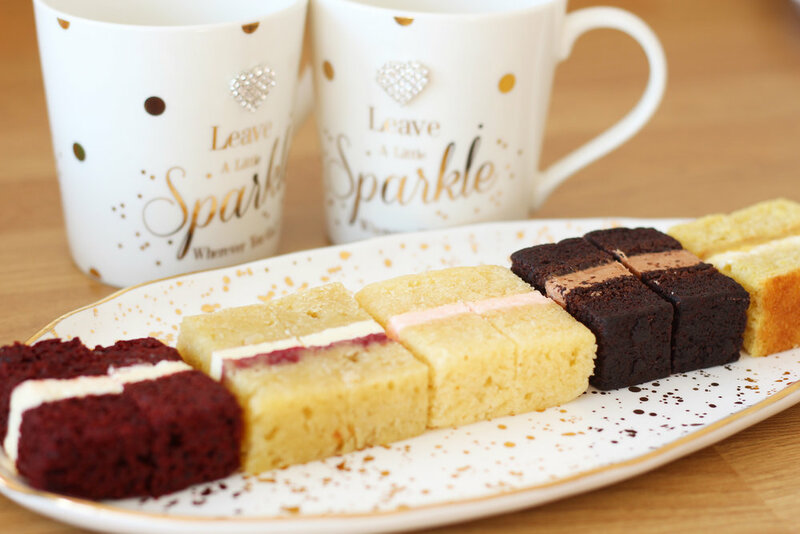 At Sparkle Bakes you are assured a delicious cake. Our signature flavours can even be made gluten free; Vanilla, Chocolate, Lemon, Red Velvet and Carrot. Here at Sparkle Bakes we create cakes for all occasions; whether it be for your wedding, birthday, baby shower - the list is endless. We pride ourselves in delivering both style and substance, so you can be assured a deliciously sweet cake that leaves one slice only teasing you for more. All of our cakes, unless specified otherwise, consist of four layers of sponge locked within a white or dark chocolate ganache shell, before covering in Couture sugar paste. If you do have another flavour in mind please do enquire as we are normally more than happy and able to supply additional flavours. All signature flavours can be made gluten free.